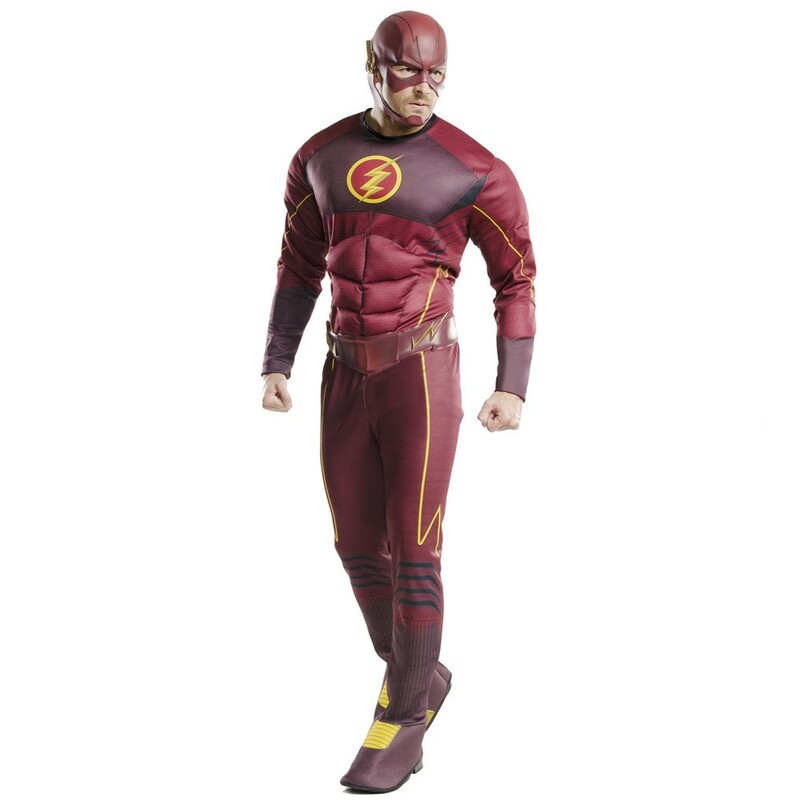 A The Flash Deluxe Costume including a Padded Jumpsuit with attached Boot Tops, and Headpiece – Ideal fora Superhero theme, or any fancy dress occasion! Transform yourself with The Flash Deluxe Costume. This official licensed The Flash Deluxe Costume includes a Padded Jumpsuit with attached Boot Tops, and Headpiece. This deep red Jumpsuit features a padded muscle chest detail, with yellow piping detail throughout, an attached padded Belt, a Flash logo in the centre of the chest, and attached Boot Tops. Complete The Flash Deluxe Costume with the matching Headpiece and you’ll be set to protect Central City! 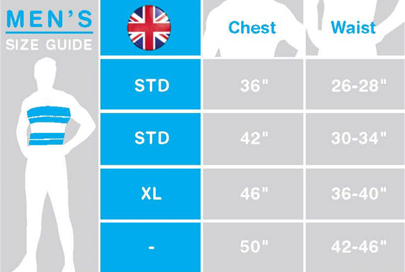 Perfect for a Superhero theme, a Sci-Fi theme, a Comic Book theme, a TV & Film theme, or any fancy dress occasion, you’ll be sure to stand out from the crowds! So let your speed take you away as you party in style with this incredible The Flash Deluxe Costume!